This month, Tesla said that issues with the production line for its Model 3 sedan are being addressed, but the hiccups have caused a months-long delay to the automaker’s manufacturing schedule for 2018. Now two high-ranking employees involved with launching the Model 3 line left the company in recent weeks, Jalopnik has learned. 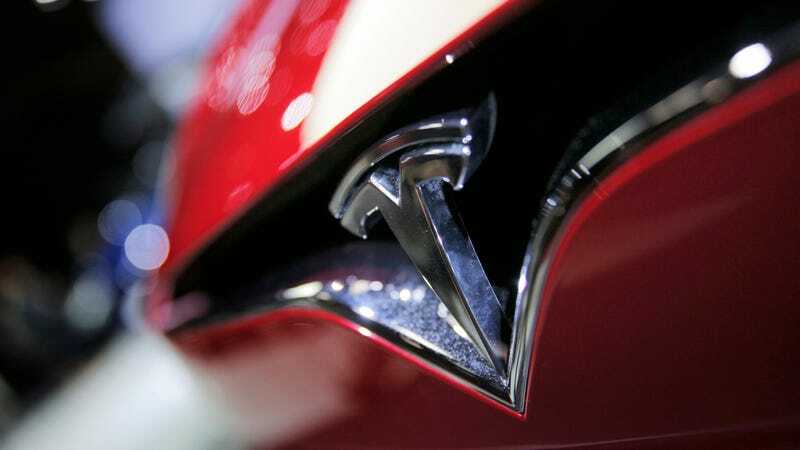 Jason Mendez, who joined Tesla back in 2005, worked an array of jobs at the company, most recently as senior director for manufacturing engineering, according to his LinkedIn profile. Mendez didn’t respond to a request for comment. Along with Mendez, Will McColl, a former senior manager for equipment engineering, has also left the company. McColl couldn’t be immediately reached for comment, but he confirmed his departure on LinkedIn, saying he resigned from Tesla earlier this month. A source familiar with the matter said both Mendez and Kroll were involved in the automation of the Model 3 production line, as well as the integration of German supplier Grohmann Automation, which Tesla acquired in late 2016. Another source confirmed the two aren’t listed anymore in the company’s employee directory. The circumstance of their departures isn’t immediately clear—Tesla has said issues with the production line emanated from its Gigafactory battery plant—nor if they’re connected to the Model 3 issues. McColl said in his post on LinkedIn that he’s planning to move home from Germany in the coming months. Tesla launched production of the Model 3 in July, but the manufacturing process got off to a sluggish start. The company reported it produced only 260 Model 3s in the third quarter of 2017, far short of its goal. The company pinned blame on issues that emerged at its Gigafactory, and pushed back a target of production 5,000 Model 3s per week by the end of 2017 to late March 2018. Tesla reported making 2,425 Model 3s in the final quarter of 2017, and said that the production rate increased “significantly” in December. But then the company said it had to again push back the 5,000-per-week target to this summer. Tesla has since started deliveries of the all-electric sedan, which starts at $35,000, to early customers. The company previously said it has about 450,000 Model 3 reservations. Editor’s Note: The headline of this article has been changed to clarify that there is no immediate evidence tying the two departures directly to Model 3 production issues.